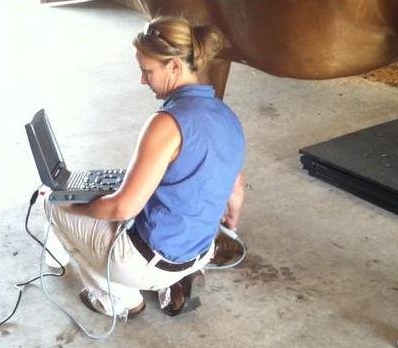 Palmetto Equine, LLC strives to bring you the best in equine veterinary medicine through top of the line equipment, digital technology, and the know-how to diagnose and treat your horse. Combining years of intensive surgical and sports medicine veterinary training with a lifetime of riding, conditioning, and training horses, Dr. Alexandra Tracey is experienced and creative in both diagnosis and treatment of horses. After her time as the emergency surgeon at Iowa State University, Dr. Tracey is especially prepared to handle your horse's medical or surgical emergency. She has a passion for performance and soundness evaluation, insisting that Palmetto Equine Hospital stay at the forefront of equine medical options and surgical techniques. This is not your Run-Of-The-Mill veterinary experience! Palmetto Equine is dedicated to finding solutions for the most intensive, subtle, or complicated cases. Check out our Services pages to learn more about what Palmetto Equine can do for you and your horses!